Ah, email. Before the days of “click to send,” Law Firms had to take substantial—and often expensive—measures to attract new clients. Billboards, TV commercials, and full-page telephone directory listings may have been effective, but without significant advertising funds new and smaller law firms were overshadowed by established mega-firms with deep pockets. But now thanks to email, even new and smaller Law Firms can engage in informative and persuasive advertising with little to no upfront cost. With the click of a button, you can communicate with hundreds of clients and potential clients simultaneously. 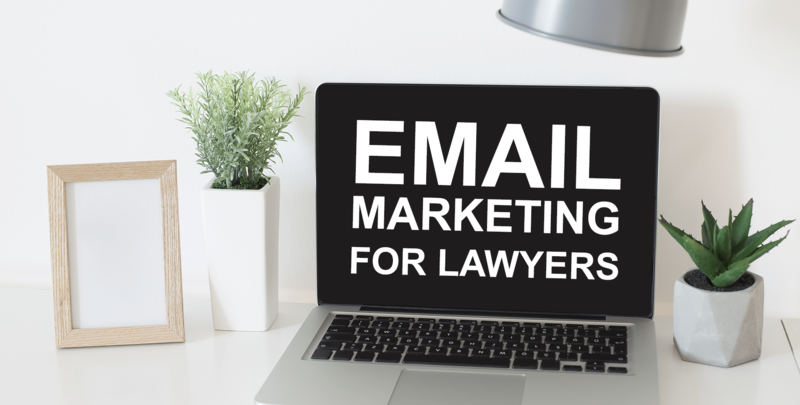 The low cost and ease of use of Email Marketing makes it an attractive option for nearly every law firm; to make sure your law firm’s emails stand out from the competition and attract as many clients as possible, check out these 3 ways to effectively attract clients through email. One surefire way to attract potential clients through email is to offer an amazing free resource in exchange for their email address. Most potential clients are hesitant to submit their email to an unknown firm without some kind of additional enticement: free resources can be a relatively low-cost way for you to inform clients about your services and persuade them to schedule a consultation. By offering an e-book, whitepaper, or how-to guide, you can easily obtain the email addresses of potential clients and get the chance to present your firm’s services. Once you have the potential client’s email, use it! This is your opportunity to convince potential clients to choose your services over those of your competitors. A quick introductory email that contains your firm name, services, contact information and promotional copy makes a great first impression and gives the client all the information they need to take the first step in hiring your law firm. At this stage in your Law Firm Email Marketing campaign, brevity is best: resist the urge to send lengthy or bulk emails at this point. A simple “hello,” a list of services, and a brief explanation of what sets your firm apart from the rest will have much more impact—and likelihood of being read—than a 3-page missive filled with obscure legal terminology and a list of every award you’ve received since grade school. Wondering how to establish yourself as an expert in your area of law? A monthly newsletter can provide your clients with legal news, information about your services, promotional content, and give your law firm the chance to shine as the experts in your practice area. By highlighting trends and new laws, you can establish yourself as the forerunner in the industry and keep your clients informed about issues that affect them. In addition to establish yourself as an expert to clients, you can also use your newsletter to build trust in your law firm. By using your newsletter to provide useful information as well as persuade clients to hire you, you can increase the legitimacy of your firm in the eyes of the public and solidify your reputation with other firms and solo practitioners in your practice area. Your email database is one of your law firm’s greatest treasures: make sure you don’t leave any gems behind by forgetting “almost” clients! Some of the email addresses in your database may be clients that have contacted you but have not retained you for your legal services. Without further action on your part, these precious email addresses are much less valuable. Don’t assume that because the client has not contacted you again that they are no longer interested in representation or have hired someone else. Oftentimes, the potential client may have simply forgotten your information or became too busy to reach out again. You can make hiring your law firm easier by sending a friendly follow-up email reminding them of your name, contact information, and services, as well as a brief explanation of what your firm can do to help. Whether you are just starting Law Firm Email Marketing or are looking for new ways to make your current email marketing campaign more effective, by offering free resources, establishing yourself as an expert with a monthly newsletter, and using your email database to identify and follow-up with “almost” clients, you can attract new clients and cement your firm’s place in the industry quickly and easily.